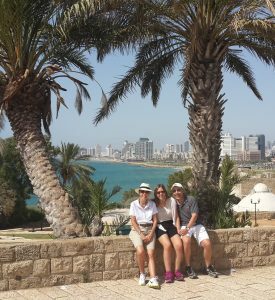 Tel Aviv is a dream that came true, it is a name of a book which expresses Theodore Herzl vision about the rebirth of Israel. 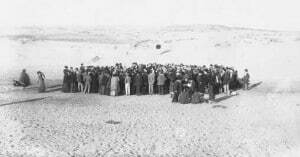 The picture from 1909 show the dune cover what is Tel Aviv today. In 100 years the Zionist movement turned the barren land to the Land of Milk and Honey. 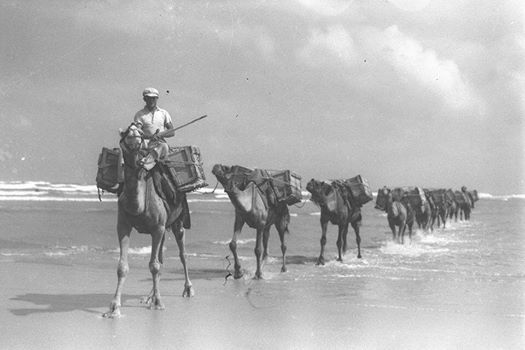 caravan of camels cross barren Tel Aviv beach, where today it is hard to find en empty space. The second book was s a novel where he describe his dream how the barren land he saw in Palestine 1898 will look like in the future. The title of the book originally in German Herzl’s mother tongue was “Altneuland” which means “Old New Land” in Hebrew the book was translated by Sokolov and the title given was Tel Aviv. Tel means in Hebrew a hill covered by ruins, we have so many of them in Israel. Today Tel is international Archaeological expression for an Archaeological site, which is build with many layers. Aviv means spring when all living things rebirth, rejuvenate. The founders of Tel Aviv when they call the first Zionist city Tel Aviv they expressed Herzl vision. Tel Aviv is a dream that came true and show the best the rebirth, the resurrection of Israel and the Jewish people. 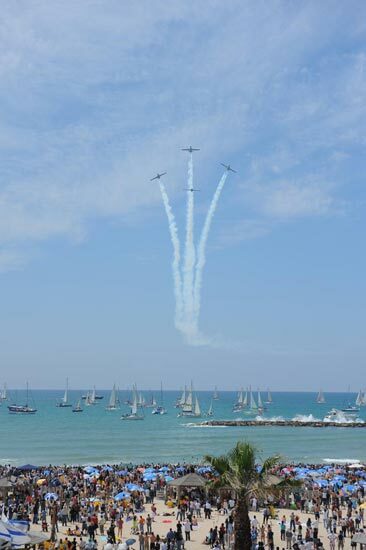 Tel Aviv today a metropolitan of 2 million people.